Egypt’s government has bought 4.8 million tonnes of domestic wheat since the start of the season on April 15, the agriculture ministry said on Friday. The government had originally set a target of 4 million tonnes but said that, after reaching that volume, it would continue to buy from local farmers. The supply ministry has said that procurement is likely to end in mid-June. Egypt is paying farmers a fixed price of 420 Egyptian pounds ($47.30) per ardeb (150 kg) of wheat this year. 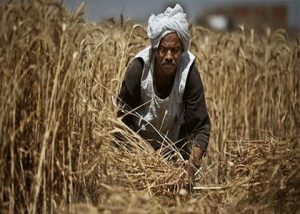 Egypt’s wheat harvest runs from April to July. In 2015 the government said it procured a record 5.3 million tonnes of wheat from domestic farmers, up from 3.7 million tonnes the previous year.